ESO Supernova Exhibition — What do we know about the Moon? What do we know about the Moon? The Moon is the only celestial body to have been visited by humans. It orbits the Earth every 27.3 days, always keeping the same face towards its parent planet. 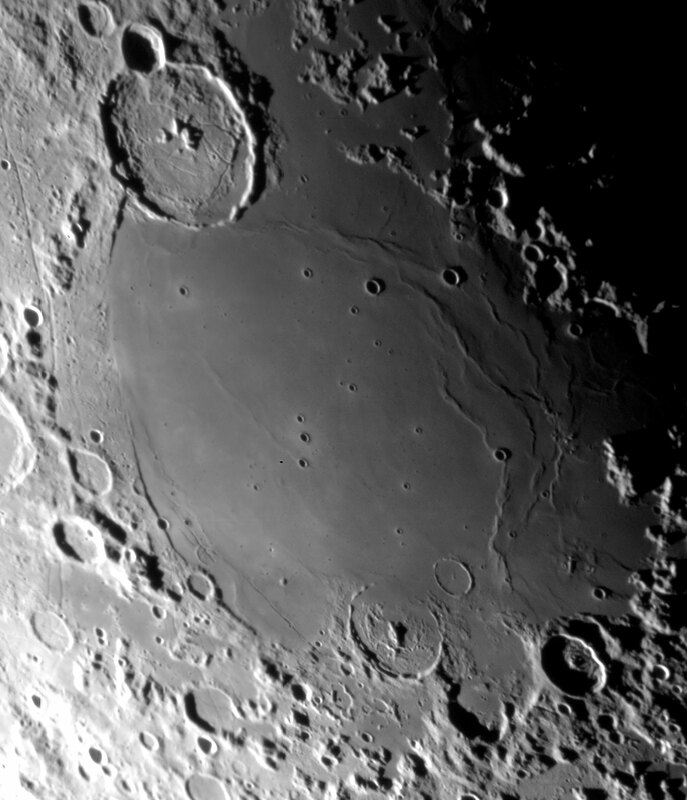 Lava world: The giant walled plain Gassendi sits on the rim of Mare Humorum, one of the basaltic lava plains on the near side of the Moon. 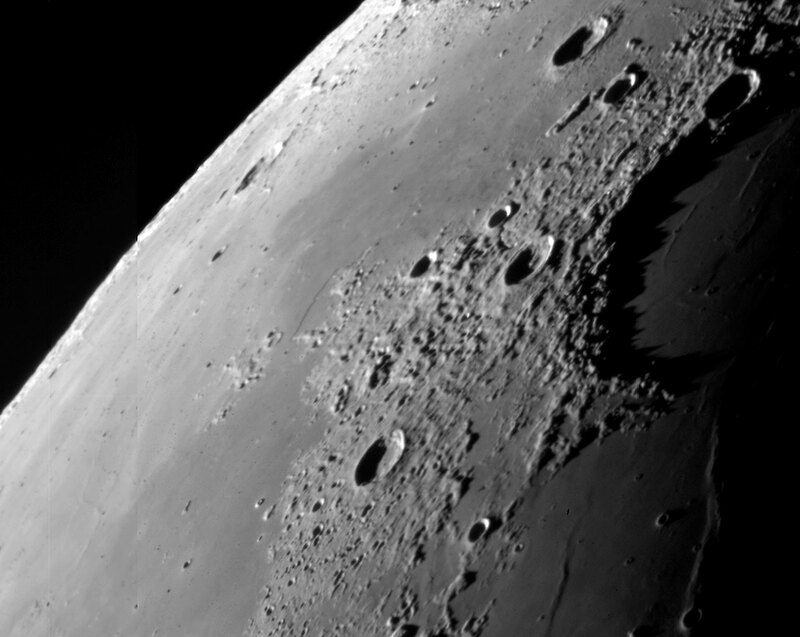 Barren landscape: Looking over the Moon’s harsh surface towards its distant horizon, this photo shows craters, mountains, solidified lava plains and a few sinuous ridges. The far side: Invisible from Earth, the far side of the Moon has been mapped in detail by NASA’s Lunar Reconnaissance Orbiter. It lacks the giant maria (“seas”) that we see on the near side. The Moon is a rocky body, 3474 km in diameter, orbiting the Earth every 27.3 days at an average distance of 384 400 kilometres. Due to tidal locking, the Moon’s rotation period is also 27.3 days, so it always keeps the same face towards the Earth. The far side of the Moon had never been seen before the dawn of the space age. The Moon has no water, no air, and very little (if any) geological activity. As a result, surface markings like impact craters and Apollo astronaut boot prints remain unchanged for thousands of years. Only twelve men, between 1969 and 1972, have walked on the Moon. Eyeing the Eagle: Buzz Aldrin, the second man on the Moon, stands beside some of Apollo 11’s experiments, looking back at his landing craft, the Eagle. The fragile construction of the Eagle was only feasible because of the low gravity on the Moon. Inside the Moon: Surrounding the Moon’s small, partially molten iron core are a thick rocky mantle and a thin crust. When did you last see the Moon? It’s the only natural satellite of Earth, and our nearest neighbour in space. But without air and water, it’s a hostile place to visit.